‘Black Friday’ – February 9th, 1945. A disastrous attack on German Destroyer Z-33 in a Norwegian Fiord saw the loss of nine Beaufighters, one P-51 Mustang, fourteen aircrew KIA, and four aircrew taken PoW, losses made more painful by the nearing end of hostilities in Europe. After departing the Førde Fjord area, the surviving Beaufighters, many of which were damaged, returned to RAF Dallachy in Scotland. Several had difficulty making safe landings, and two were forced to land ‘wheels up’ due to damage (photo below) but no further aircraft were lost. The air and ground crew were shocked by the scale of the losses, and the battle became known as ‘Black Friday’. The losses suffered by the Dallachy Wing on 9 February were the highest any of Coastal Command’s strike wings sustained in a single operation during the war. A memorial plaque is situated at the foot of the Fiord. RAAF Flying Officer James Herbert Harper of 21 Squadron flying a ‘Wirraway’ aircraft over Laverton, Victoria, (Australia) on 9th February 1940. With war looming, Australia needed a general purpose aircraft for manufacture by the newly-formed ‘Commonwealth Aircraft Corporation’ (CAC). 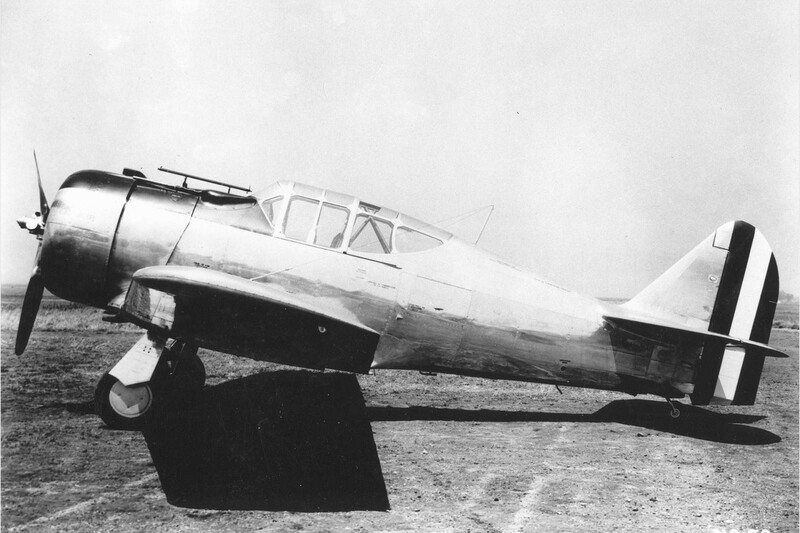 With European (especially the British, Australia’s main importer of hardware) manufacturers in full aircraft production, the North American NA-16 became the aircraft of choice for Australia. CAC created a modified version of this aircraft which came to be known as the Wirraway (Aboriginal for ‘challenge’). 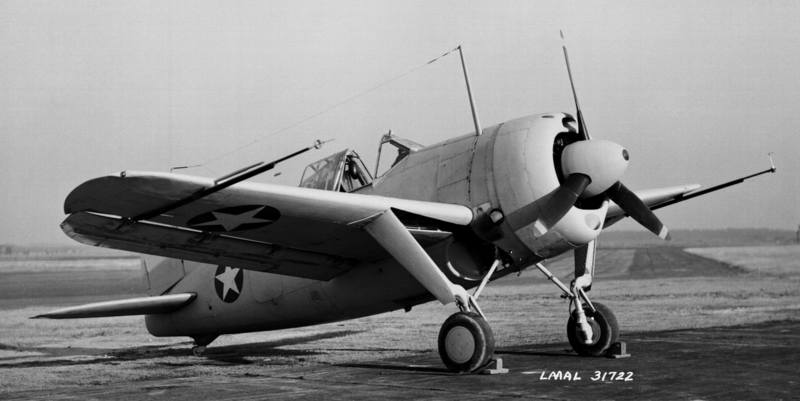 The North American NA-16 was hugely popular for its role as an all-purpose trainer aircraft (I know several iModelers have cut their teeth on these) and became known as the ‘Texan’ in America and the ‘Harvard’ in Britain. 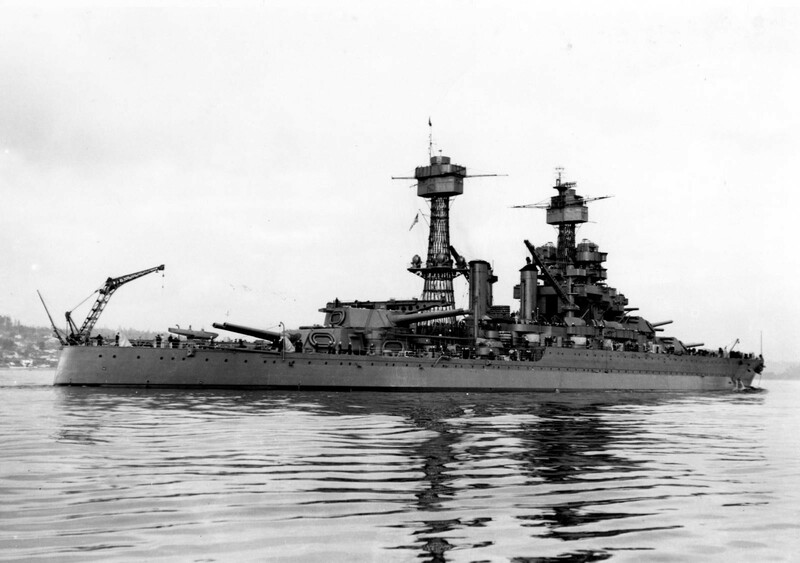 USS Maryland at Bremerton, Washington, United States 9 Feb 1942 after repairs from damage received in the attack on Pearl Harbor three months earlier. 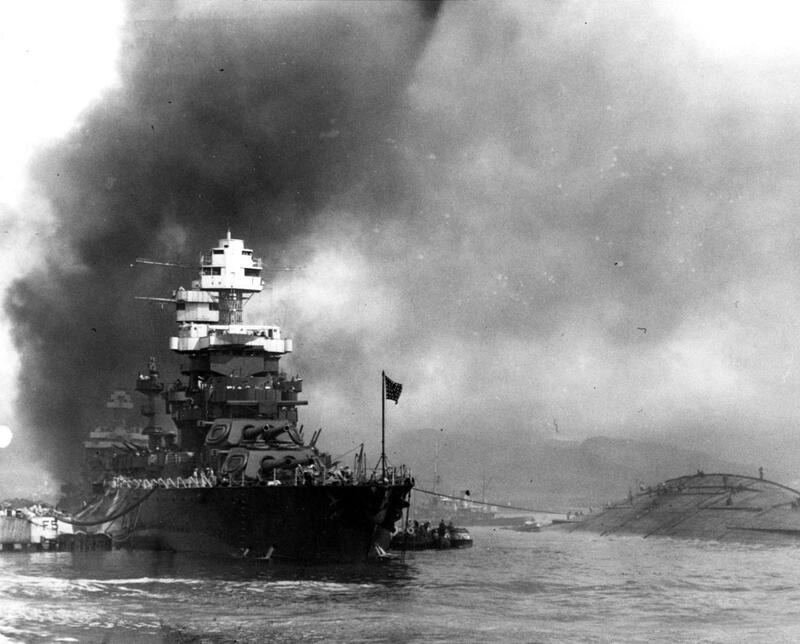 The photo below is the ‘Fighting Mary’ during the pearl attack, the capsized Oklahoma in the background. Abandoned German ‘Marder III’ tank destroyer in North Africa, 9th February, 1943. One of my favourite aircraft (don’t ask why, no idea), the F2A-2 Brewster Buffalo, here seen at rest, NACA Langley Research Center, Hampton Virginia, United States, 9th February 1943. I had to get a Carrier in here. 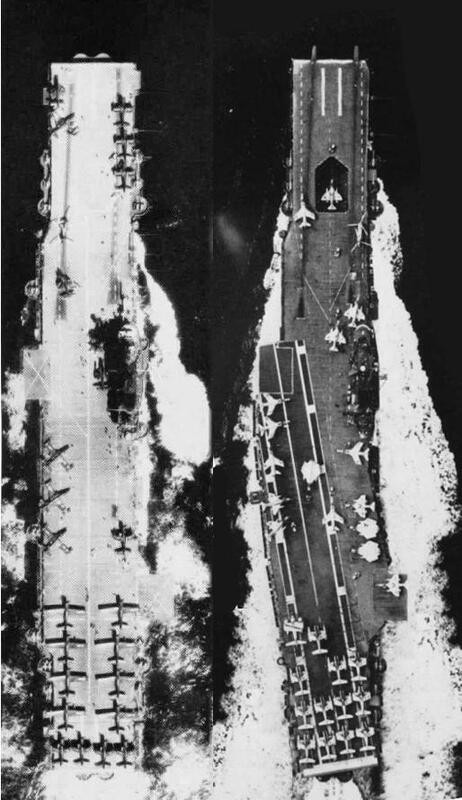 This is the USS Intrepid (by then CVA-11) in her shakedown after extensive refitting off Guantanamo Bay, Cuba, 9th February 1955; note F2H Banshee aircraft on flight deck. Described by Chuck Yeager as ‘The greatest pilot I ever saw’, ‘Bob’ Hoover was shot down on February 9, 1944, on his 59th mission, his malfunctioning Mark V Spitfire downed by a pilot of Jagdgeschwader 2 in a Focke-Wulf Fw 190 off the coast of Southern France. He was taken prisoner and spent the next spent 16 months at the German prison camp Stalag Luft 1 in Barth, Germany. Hoover became a bona-fide hero when the squadron he was attached to in Italy was offered a shot-up B-26 Martin Marauder, if someone could retrieve the plane from a short stretch of beach in the Straits of Messina. Nobody could get the plane airborne as it was in such a narrow, confined area. The challenge intrigued Hoover and he flew with a mechanic in an L-4 plane to look at the bomber, which they found on a “1,000-foot crescent-shaped stretch of sand that had a 12-foot drop-off to the water at one end”. “Hoover had studied manuals describing the plane’s capabilities and knew they would need to lighten the aircraft. Two days later, the mechanic and a crew of 10 men began removing the copilot’s seat, most of the instruments and everything else that wasn’t essential to fly the plane”. 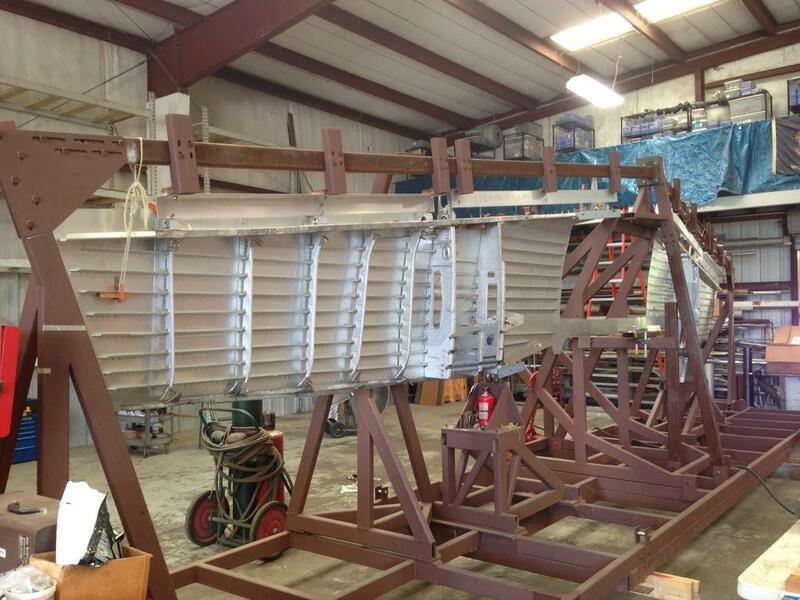 “The recovery effort took more than a month. On takeoff, Hoover had less than 100 gallons of fuel. 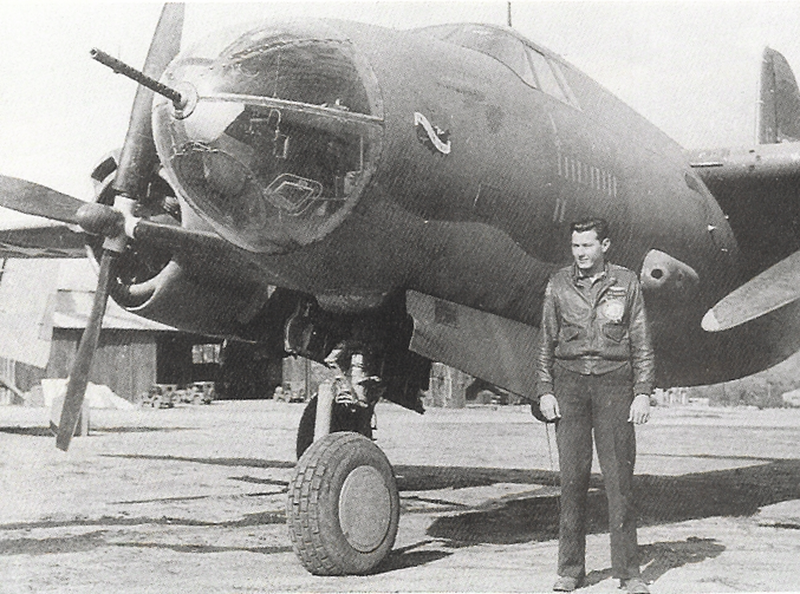 With about four feet of clearance on each side of 600 feet of steel matting now covering the sandy beach, and a 300-foot extension of chicken wire beyond that, he was able to lift the nose of the B-26 and head toward Palermo. He was awarded the Distinguished Flying Cross for his effort”. 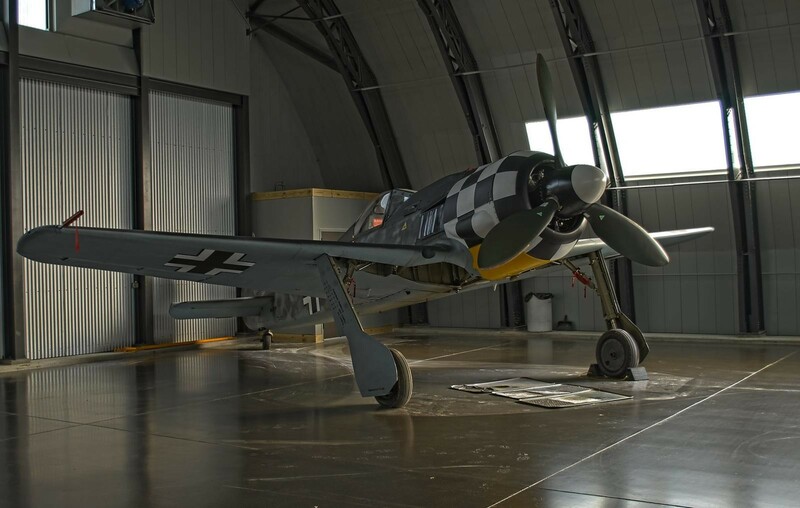 After a staged and well acted fight distracted guards and covered his escape from the prison camp, Hoover actually managed to steal a lightly damaged Fw 190 from the unguarded ‘recovery unit’ by the flak training field. It was the only flyable plane being kept there (for spare parts). He didn’t use the runway, just taking off straight from the field, and flew to safety, emergency landing the 190 in a field in the Netherlands. After the war, Hoover was assigned to flight-test duty at Wilbur Wright Field where he impressed and befriended Chuck Yeager. When Yeager was later asked whom he wanted for flight crew for the supersonic Bell X-1 flight, he named Hoover and Bob became Yeager’s backup pilot in the Bell X-1 program. “A memorial service and celebration of life honoring Bob Hoover was held on November 18, 2016, hosted by aerobatic legend Sean D. Tucker and world renowned pilot Clay Lacy at the Van Nuys Airport. Nearly 1,500 family and friends attended the memorial, with speakers such as Hollywood icon Harrison Ford, film producer David Ellison, Jonna Doolittle (granddaughter of Jimmy Doolittle) and many others. The event culminated with the United States Air Force Honor Guard presenting the American Flag to the family – which coincided with a three element fly-over. The lead element featured a Rockwell Sabreliner similar to that which Hoover flew during airshows, along with two F-16s from the USAF Thunderbirds and a CT-114 from the Canadian Forces Snowbirds. The second element featured the USAF Heritage Flight with an F-22 Raptor and two F-86 Sabres, and the third and final installment featured a four-ship World War II warbird flight, with the P-51 Ole’ Yeller pulling up in the missing man formation on the final note of Taps”. Great write up on Bob Hoover, David. I’ve seen him perform several times at the old Cleveland Air Show held at Lakefront Airport in the 80’s. What he could do with that yellow P-51, and the Aero Commander was breath taking. He always put on an amazing show, lots of fun to watch. Thanks, Tom. He really was larger than life; stealing a 190…just brilliant. You are very fortunate to have seen him in action. David. Great pics and stories, once again… Thanks for all your dedication and commitment! Love the pic of Hoover and Yeager. Certainly two of the best pilots pilots. I too saw Mr. Hoover at multiple airshows. 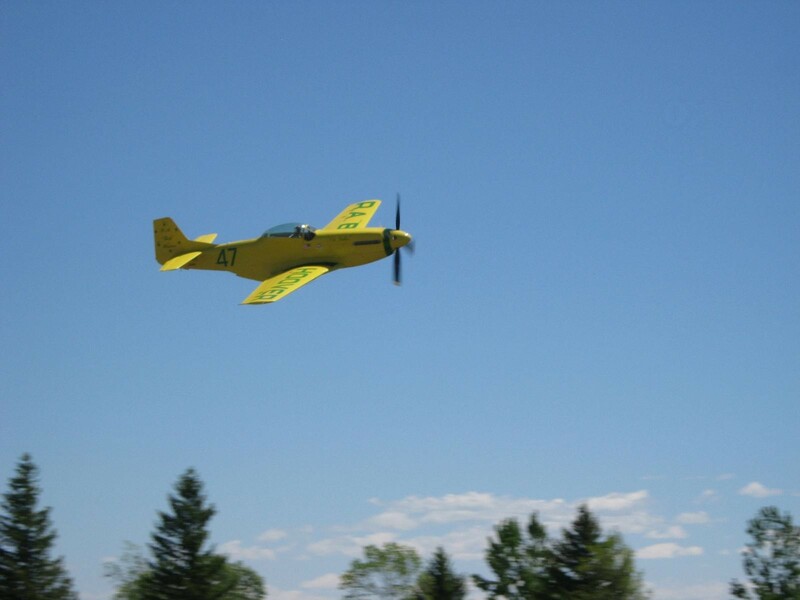 His Yellow P-51 was always cool to see but, being a pilot, my favorite was the energy management show he did with the Commander……shut the engines down in flight, perform some aerobatic maneuvers, land and taxi back to his starting spot on the tarmac without turning the engines back on…..amazing, every time. You are welcome, Gary. Always nice to share a good story with friends. Wk. Nr. 732183 of 12./JG 5 can be found in the Military Aviation Museum in Virginia. Scroll down to the third image you can see a image of the Ltn’s a/c. If you keep on scrolling “White 1” Wk, Nr. 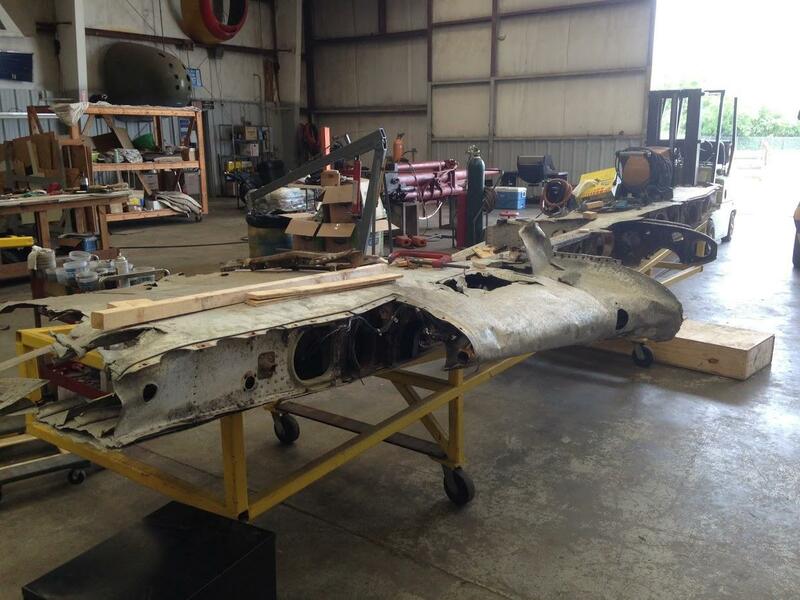 931862 which was also involved in that raid and is now apart of the Collins Foundation and is being restored to flight status. Keep up the good work …you got this old dog hunting again. Your editor is very nimble in updating photos . Two thumbs up. Thanks, Stephen. I did think that the checkered 190 looked somehow too pristine for the story. I picked up the image from two separate locations, though, so thought it was legitimate. Well spotted and appreciated – ‘Blue 4’ now proudly in her proper place! Considering you have a full time job and this side gig demands a dead line …these things evolve and the posts are good pointers for learning more. It’s all good. On my last reply to this daily series, I stated that it was my favorite…………… Now I have to retract that statement and substitute todays edition as my all time favorite………. You have managed to do it again !!! A wonderful posting……………. I was fortunate enough to see Bob Hoover fly at several airshows many years ago. Like mentioned above, his aerobatic routine in the yellow Rockwell P-51 and the Aero Commander were awe inspiring. It was simply incredible watching him repeat his routine in the Commander with both props feathered !!!! He was an expert at managing energy and altitude. Now after reading of his other exploits, I am even further amazed at him…………….. I learned a lot this morning, and that’s all thanks to this article. 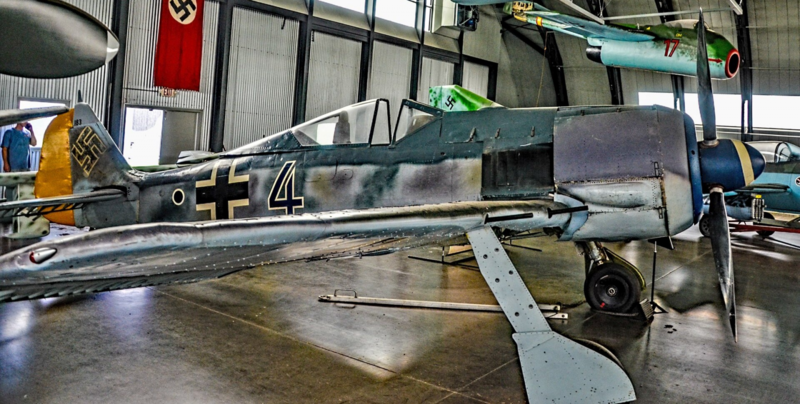 I have also been fortunate enough to see some major parts of the FW-190 owned by the Collings Foundation. Here are a few pictures. I have others but I need to locate them. You have made my day ………………… again. Thanks, Louis. Appreciate the photos, as Stephen said, the posts are intended as a start point for people to do a little more reading and research on intersting stories, or even inspire a dio or two. I love it when iModelers add their own pics and thoughts that add to the narrative. Hoping to get a little actual building time this evening and I have a few days away from work this week coming, hoping to relax at the bench. Hi David. Excellent photos and stories as usual. 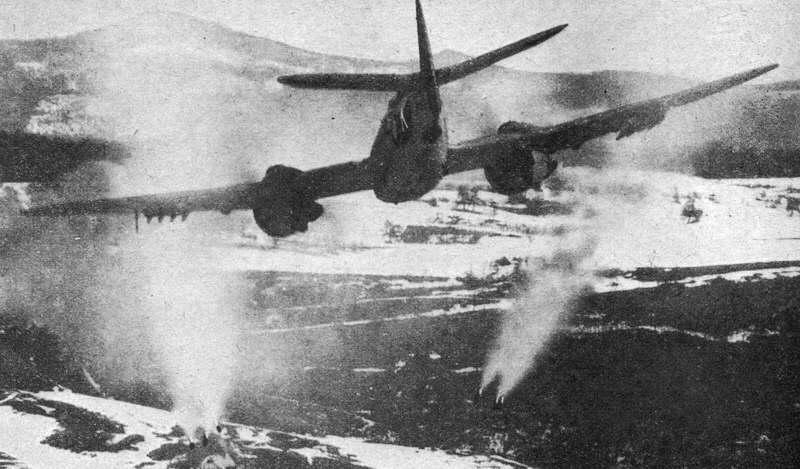 The first photo of the diving Beaufighter attacking a target is one of the most striking photos from WW II depicting a Beaufighter attack. The photo shows a Beaufighter Mk X “K” of 19 Squadron South African Air Force, flown by Captain Steve Stevens, operating from Termoli, Italy. The attack was directed against a German stronghold in the town of Zuzemberk, Yugoslavia on 13 February 1945. The pilot that snapped the photo was Lt. S. Schonfeldt and he used the nose-mounted strike camera of his Beaufighter. As Stevens opened up with his cannons, the shell casings slammed into Schonfeldt’s aircraft denting the leading edge of his wings and nose. 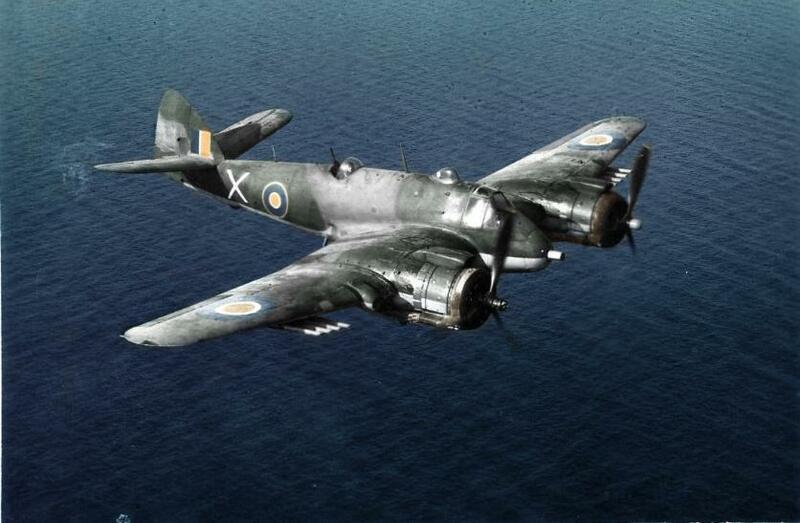 I am currently building Steven’s Beaufighter and will include some photos of SAAF Beaufighters. Hi Morne. I absolutely agree, it’s a fantastic shot that’s full of energy and power. The 404 Squadron who took part in the Black Friday Battle were Canadian Air Force fighters. 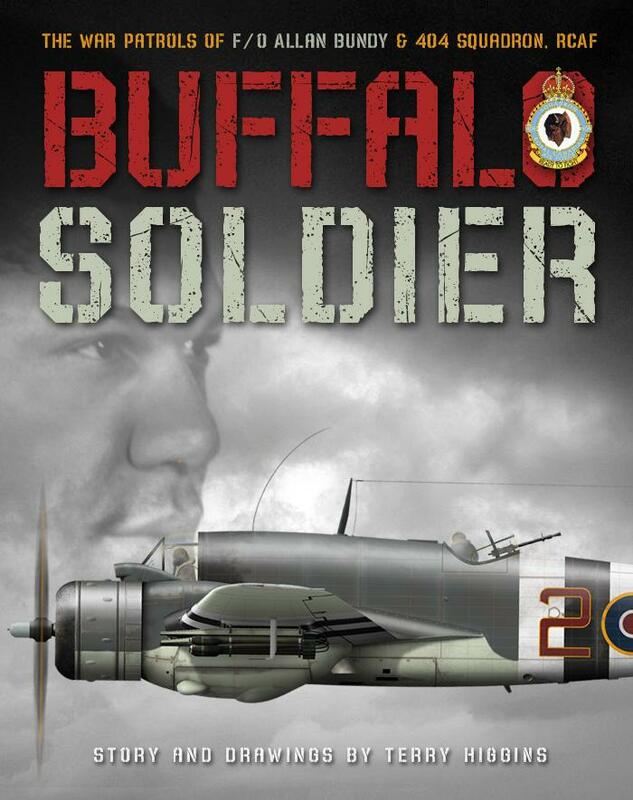 The book, ‘Buffalo Soldier’ is an excellent read with gorgeous reference drawings for Beau’s. Thanks for the feedback, Morne, really appreciated – as ever, my friend. Thanks David. This is a book I have to add to my list of books for 2019.